I think she had a bad LSD trip .. imagining fairy godmothers and pumpkin chariots … This is a children’s book, right? Poor Cinderella just never seems to get the dignity I’m sure she deserves. 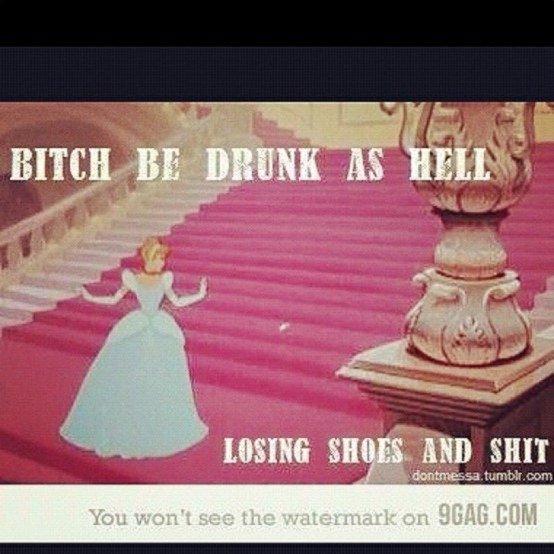 But really, losing a glass slipper …? Come on now.